The tech giant has dismissed claims made by a former contractor who says she – and others – suffered in a toxic work environment. Facebook has responded to claims made by a former contractor who says she endured a toxic work environment as well as everyday sexism. “Facebook provides everyone – including contractors – with a respectful and safe working environment,” the tech giant said in a statement. The comments come after one anonymous woman slammed the company’s toxic culture, claiming “devastating sexism” left many employees – especially women – feeling angry and unheard. 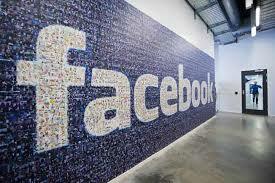 “Working at Facebook, even as a contractor, was supposed to be the opportunity of a lifetime. It was, instead, the most toxic work experience of my life,” she wrote in an opinion piece for The Guardian. The unnamed woman was contracted to choose which links would appear on Facebook’s “trending” box – she denies the recent rumours of political bias but says employees had to endure a highly toxic environment. According to the anonymous worker, multiple allegations of sexism were ignored or not taken seriously and women’s opinions were poorly valued. “Contrary to what Sheryl Sandberg preaches in her Lean In movement, women on the team are rarely encouraged to speak up,” she said, adding that when she reported a problem or discrepancy her claims were dismissed but when a man would report the same problem, he would be congratulated for noticing. The woman also complained that there was no HR department to raise concerns with.